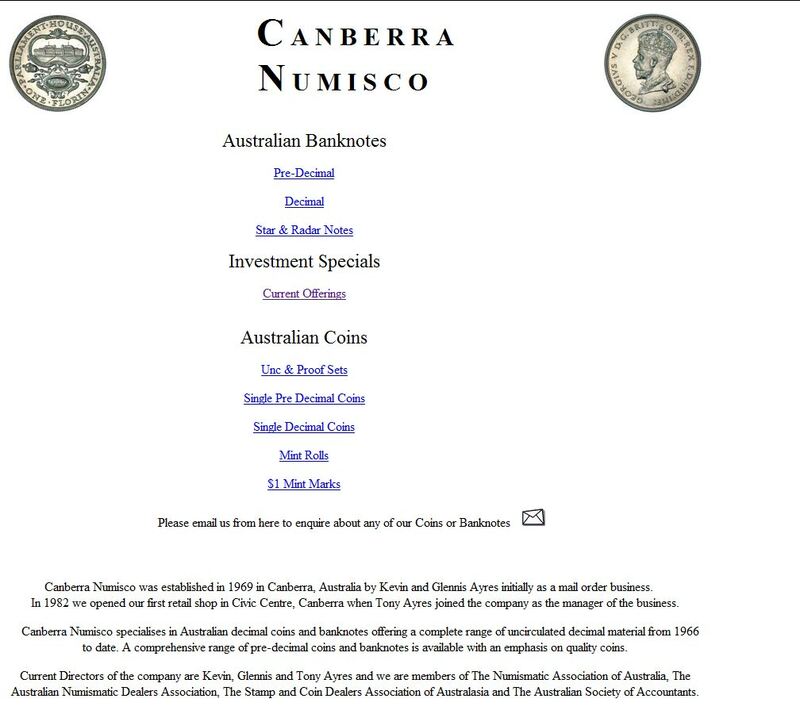 Canberra Numisco was established in 1969 in Canberra, Australia by Kevin and Glennis Ayres initially as a mail order business. In 1982 we opened our first retail shop in Civic Centre, Canberra when Tony Ayres joined the company as the manager of the business. Canberra Numisco specialises in Australian decimal coins and banknotes offering a complete range of uncirculated decimal material from 1966 to date. Canberra Numisco are a well known numismatic dealer, specialising in Australian decimal coins and banknotes. Although principally dealing in base metal and paper based stock, Canberra do sell gold and silver bullion coin proofs and numismatics. 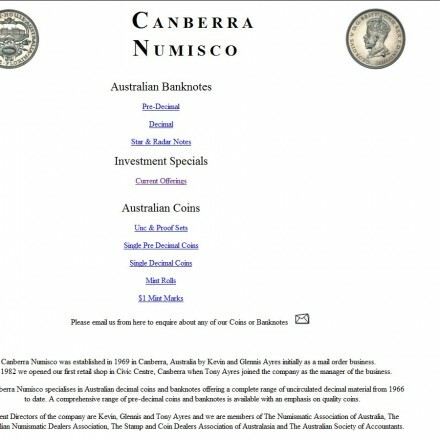 When doing business with Canberra Numisco - please say you saw them in Bullion.Directory. Read or add Canberra Numisco reviews and ratings using the "reviews" tab above. All Canberra Numisco details are believed to be correct at the time of listing. Please report errors here.